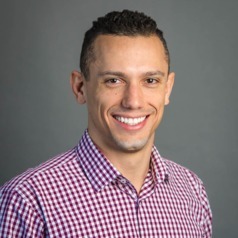 Gustavo is an NHMRC Early Career Fellow at the School of Public Health, Sydney Medical School. His research focuses on the effectiveness of contemporary interventions for musculoskeletal conditions. He is also interested in health services and translational research, currently collaborating with Sydney Health Partners on the implementation of a model of care for acute low back pain in emergency departments. Gustavo is an associate member of the Australia & New Zealand Musculoskeletal (ANZMUSC) Clinical Trials Network and an invited member of the low back pain guideline development committee within the European Pain Federation (EFIC).